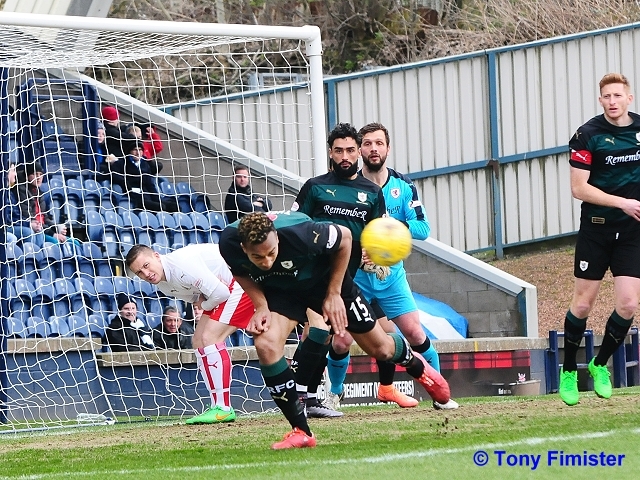 Raith Rovers extended their unbeaten run to ten Championship league games by virtue of a hard-fought 2-2 draw against fellow promotion-hopefuls Falkirk at Stark’s Park this afternoon. 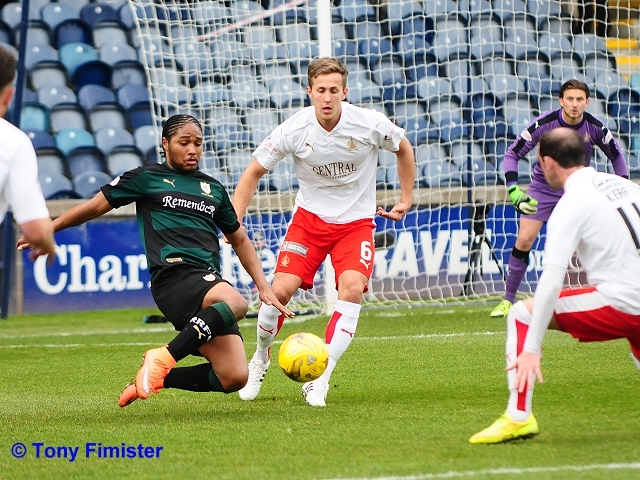 Ray McKinnon’s men know that they will be contesting the first round of play-off ties less than two weeks from now, although the Bairns are still vying with Hibernian for second place, and the right to await the winners of the first tie. 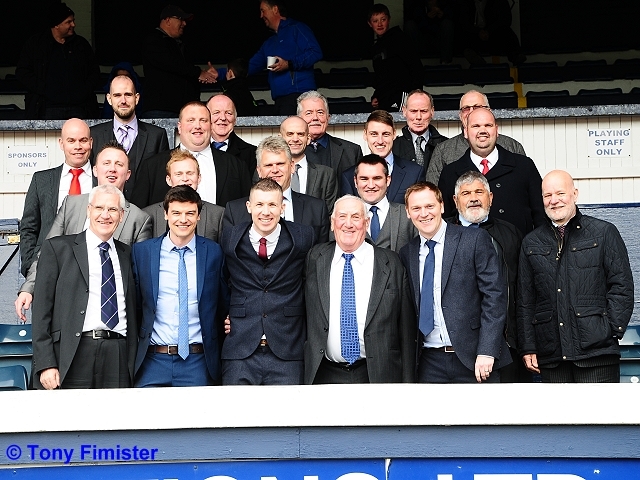 This afternoon’s close encounter emphasised that, if truth be told, there is little to separate the top clutch of sides in this league, and it’s anyone’s guess as to will ultimately join Rangers in securing a berth in the top flight next season. 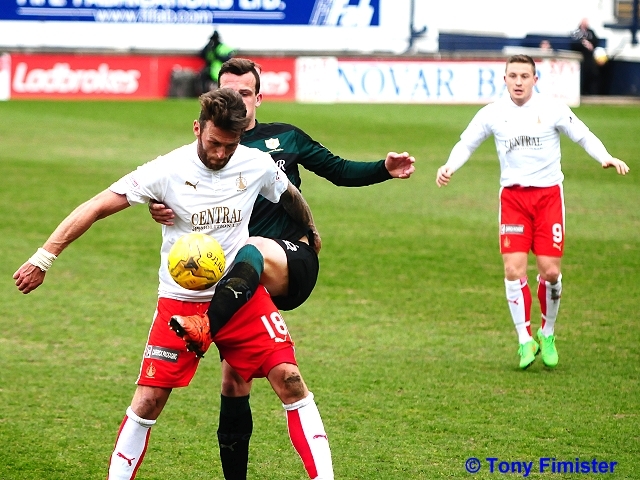 Ray McKinnon stayed true to his promise to freshen the side up with an eye on the play-off fixtures, making no fewer than five changes to the side that started in last week’s win at Dumbarton. 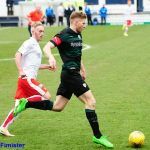 In came Davidson, Robertson, Thomas, Longridge and Craigen, the latter of whom was of course lining up against the side for which he will be plying his trade next season. 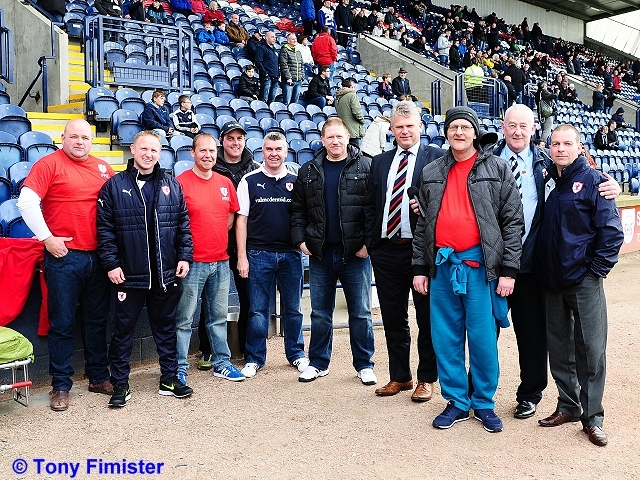 A healthy travelling contingent filled a sizeable portion of the north stand, reflecting the importance of the match for the visitors as far as their final league place was concerned. 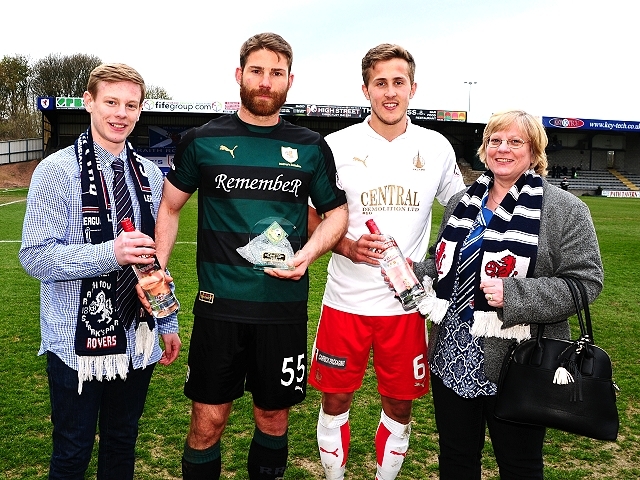 Sure enough, it was Falkirk who started the sprightlier of the teams, knocking the ball around with confidence, pinning their hosts back for the most part. 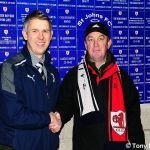 A neat interchange of passes presented Blair Alston with a shooting chance inside two minutes, but the midfielder’s effort on goal scooped high over Kevin Cuthbert’s goal. 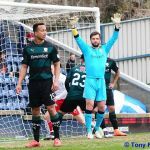 A minute later, the Rovers keeper inexplicably handled the ball well outside the penalty area, though the resultant free-kick was cleared with the minimum of fuss. 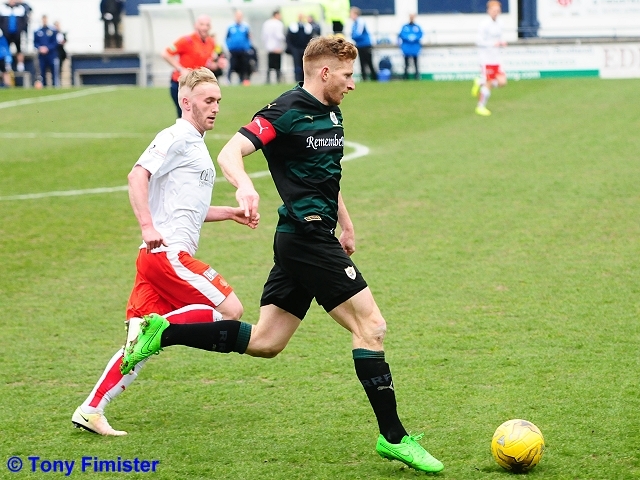 And then, with five minutes played, Rovers took the lead with their first serious foray into Falkirk’s half. 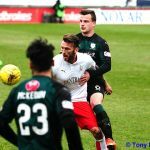 A foul on Scott Robertson on the right flank led to a floated cross from captain Jason Thomson, and the ball was cleared out to Harry Panayiotou, who wasted no time in whipping the ball back into the danger area. 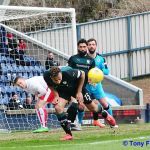 Joel Thomas’ firm header was parried by Falkirk keeper Danny Rogers, but the forward would not be denied and reacted quickest in a crowded goalmouth to sweep the rebound into the corner of the net. Thomas was barely able to celebrate his goal with his team-mates as he was immediately substituted, having picked up a knock in the process of scoring the game’s opener. 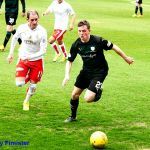 Ryan Hardie was therefore called into action earlier than anticipated as his replacement. 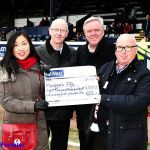 Falkirk responded quickly, though a header from Lee Miller drifted harmlessly wide, before Will Vaulks sclaffed a shot over the bar from a promising position on the edge of the box. 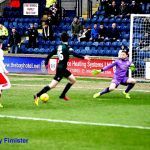 With half an hour played, Rovers almost created an opening with a neat flurry of passes, ending in Hardie’s intelligent flick landing at the feet of the onrushing Louis Longridge, though the keeper smothered the winger’s shot away to safety. 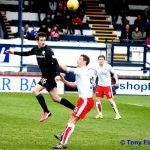 Hardie then found himself in space in the box, and after his initial shot was blocked by Rogers, the Rovers striker’s audacious lob from the rebound narrowly cleared the bar and nestled on the top of the net. 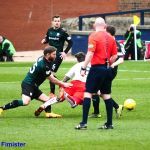 As half time approached, the home fans protested a decision by referee Bobby Madden to penalise Iain Davidson when it appeared to everyone that the Rovers midfielder was the one fouled. 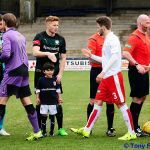 However, justice was seen to be done when, from the free-kick, Lee Miller’s header drifted harmlessly wide of the target. 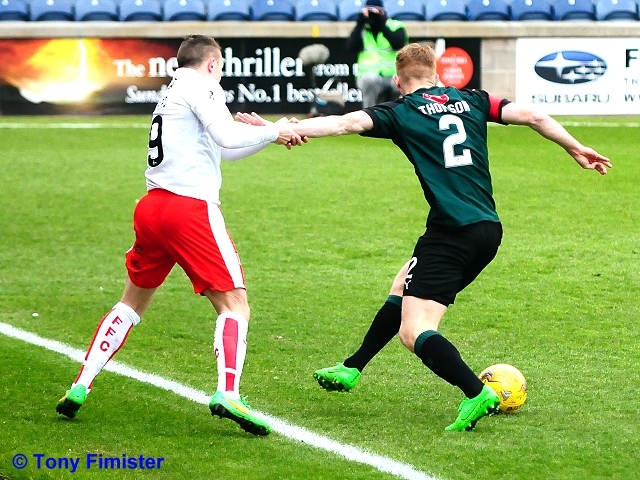 Falkirk’s bid to restore parity before the interval was doomed to failure, however, despite a flowing move which resulted in an inviting cross from Craig Sibbald which was narrowly missed by the sliding Miller, though the striker would have been consoled by the offside flag that would have ruled out a goal in any case. 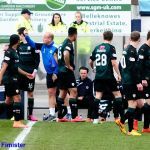 Falkirk boss Peter Houston had clearly reminded his charges of the importance of the match during his team talk as his players came out for the second half with obvious intentions to get back into the match. 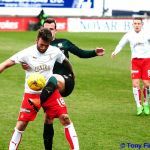 Perhaps mindful of his role in thwarting any such ambition, Iain Davidson received a yellow card following a tussle with Sibbald, though it looked like a handbags at dawn incident to most observers. 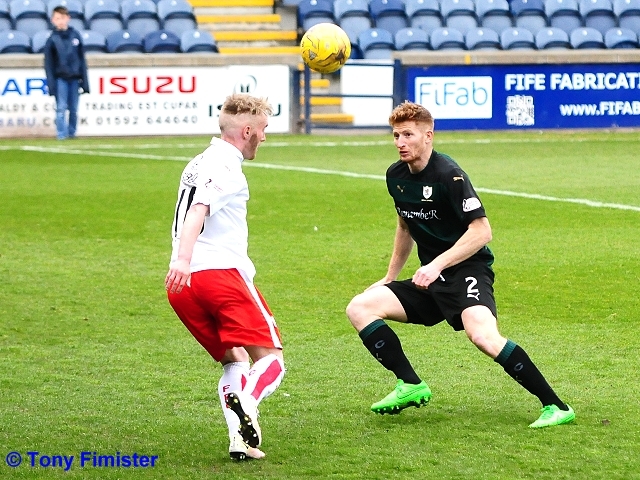 However, Falkirk were in no mood for frivolous exchanges, and a double substitution ten minutes into the second period betrayed their intentions, even if most Rovers fans were quietly relieved to see one of the players withdrawn being former Rovers striker John Baird. 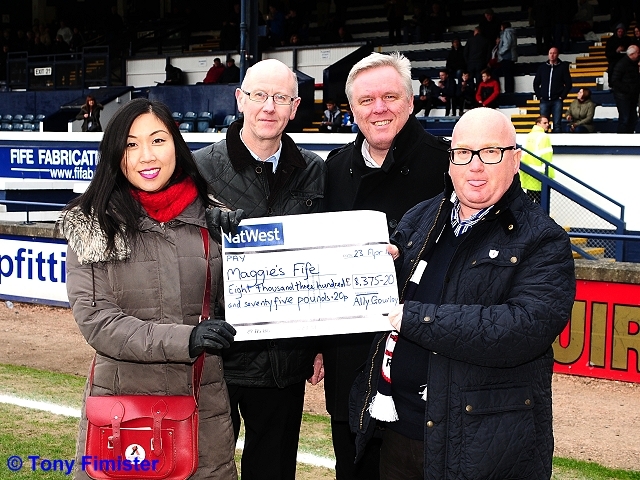 The change paid immediate dividends, as Falkirk restored parity. 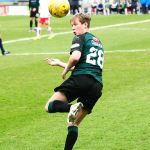 The ball was worked out to the left flank and left-back Luke Leahy’s incisive pass behind the Rovers defence was met with a first time shot by Sibbald into the far corner of the net from ten yards. 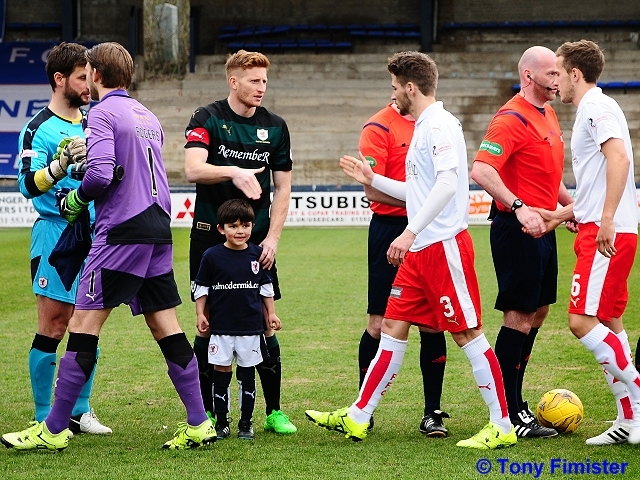 The goal galvanised the visitors, who were enjoying the lion’s share of possession at this point. 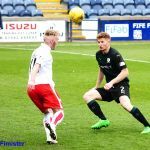 Aiden Connolly was introduced to the fray at the expense of Craigen, though it was Falkirk who remained on the front foot as the match entered its final quarter. 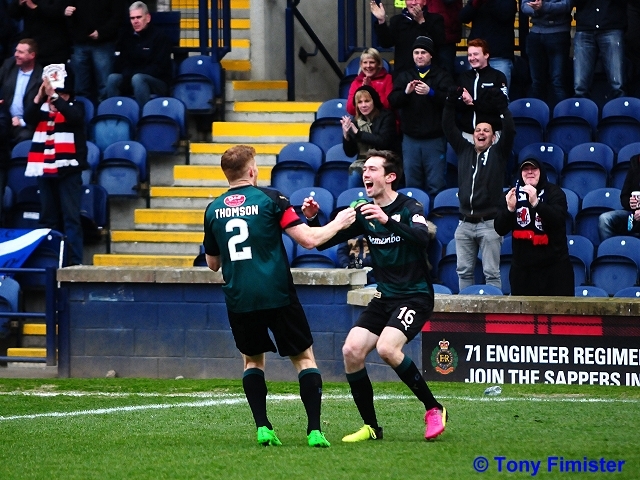 However, with twenty minutes remaining, it was Rovers who regained the lead against the run of play. 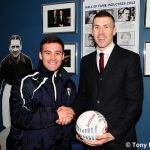 Falkirk defender Blair Alston, with all the time in the world, made a hash of a harmless-looking lofted pass deep into Falkirk territory, and the predatory Ryan Hardie took full advantage by despatching a low shot into the far corner of the net. 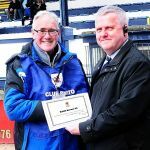 Lee Miller then became the second name in the referee’s book for crudely felling man of the match Craig Barr, before Rovers missed a glorious chance to put the game beyond the visitors. 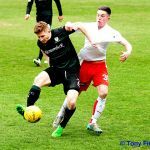 From a Falkirk corner, Louis Longridge picked up the ball and went on a lung-bursting run down the right flank, evading tackles and darting into Falkirk’s penalty area. 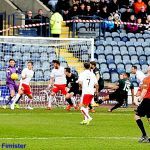 With team-mates aplenty handily placed in the box, the winger decided to go it alone, and scuffed his shot into the side-net to the disappointment of the home fans and team-mates alike. 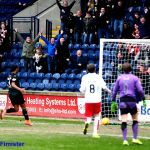 As the game entered its closing stages, it ebbed and flowed as tired legs resulted in spaces being left and sometimes exploited, and a Ryan Hardie shot tested Falkirk keeper Rogers. 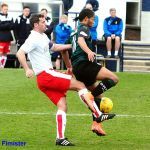 Falkirk kept pressing however, and were rewarded for their endeavours with an equaliser two minutes from the end of regulation time. 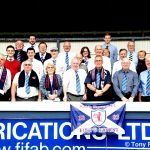 Rovers failed to clear their lines properly and a whipped cross from the right wing by Scott Shepherd into the box was firmly headed home by Bob McHugh. And that was that, the spoils shared from what was a keenly contested affair. 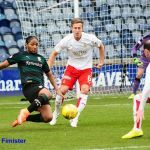 The concession of a late goal appeared to have deflated the Rovers players a little as they left the pitch at the end of the game, but be in no doubt – Ray McKinnon’s team are in the play-offs on merit, and following next week’s game at Livingston, they will head into the next games without any inferiority complex. Nor should they. Just under an hour until kick off. Waiting for team news. Come on everyone get down to Starks!!! 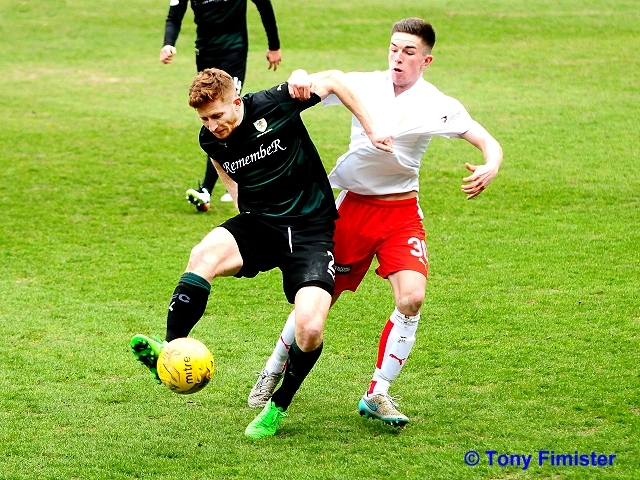 Welcome back for the second half, Falkirk kick off towards the McDermid stand. 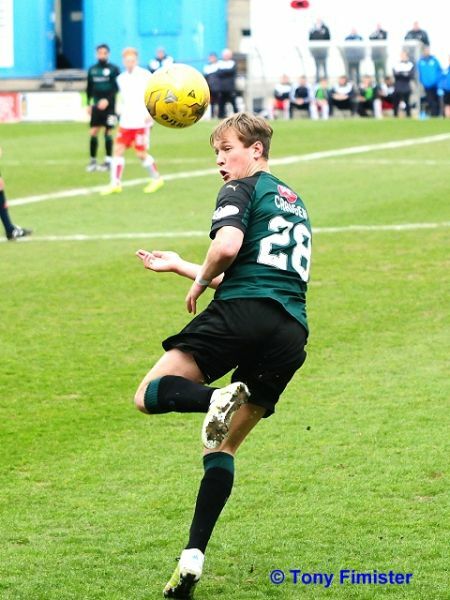 Davidson hits a speculative half volley...goes out for a throw in! 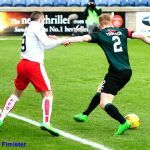 Baird and Davidson contest a high ball, free kick given to Raith. Barr's header is cleared. Hippolyte goes down in the box, the away end calls for a penalty but nothing given. 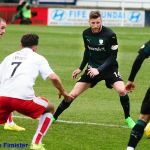 Booking for Davidson for an off the ball incident with Sibbald. 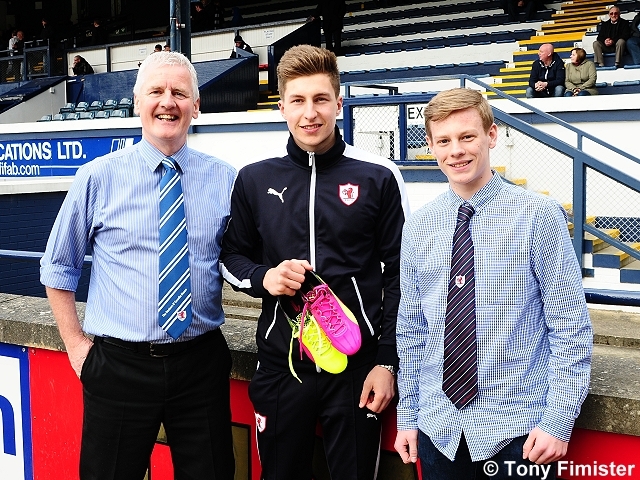 Double substitution for Falkirk. 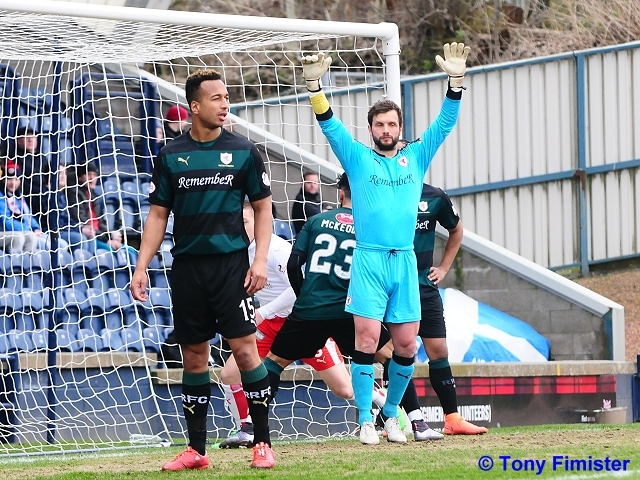 Baird and Hippolyte off and Mchugh and Shepherd on. 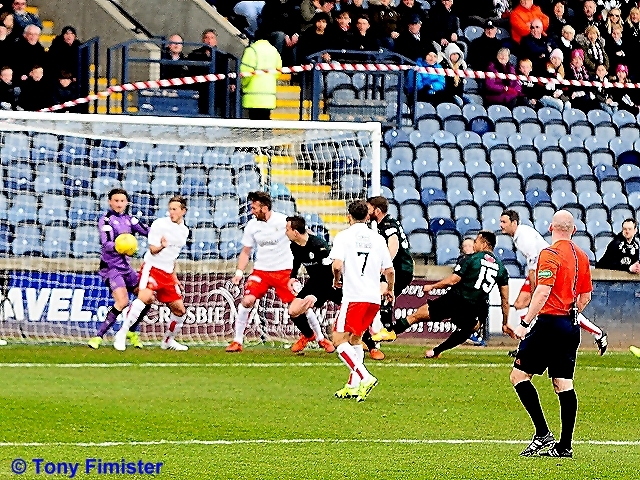 Goal Falkirk, Craig Sibbald with a low angled shot to Cuthbert's left. 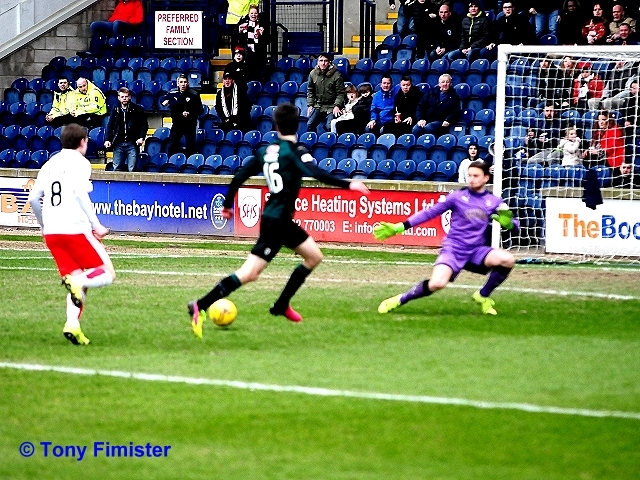 Hardie with a chance to put the rovers back in front but his effort is blocked. Craigen with a deflected shot easily saved by Rogers. Final sub for the rovers, Connolly replaces Craigen. 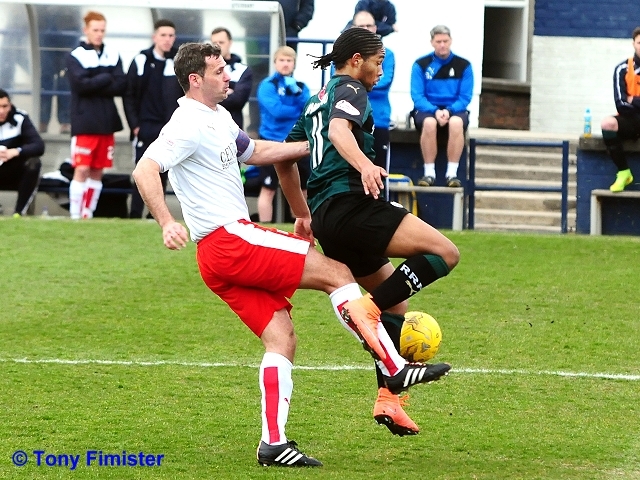 Falkirk with the upper hand at the moment, but the game is fairly end to end. Miller with a powerful drive from distance is well held by Cuthbert. 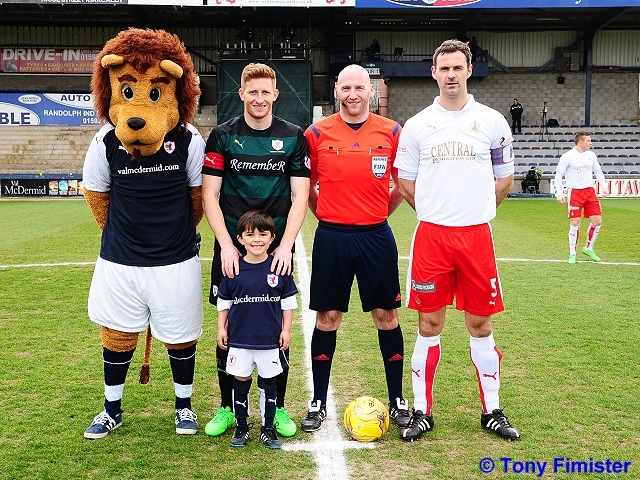 Falkirk really applying the pressure. 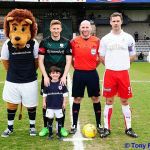 The successful high line that raith were utilising in the first period is non existent. 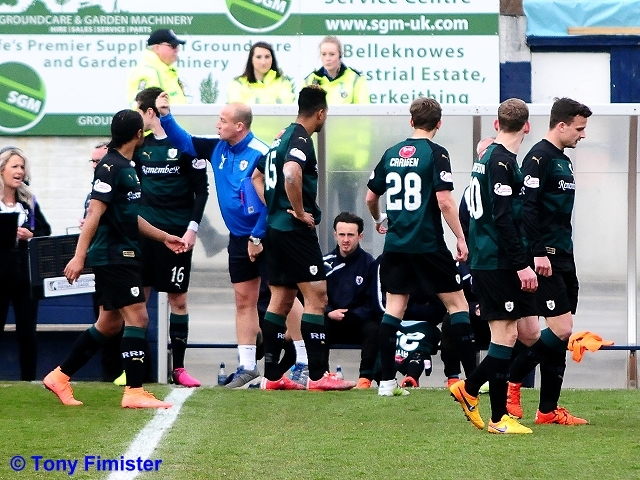 Final sub for Falkirk, Taiwo is replaced by O'Hara. GOAL GOAL GOAL!! 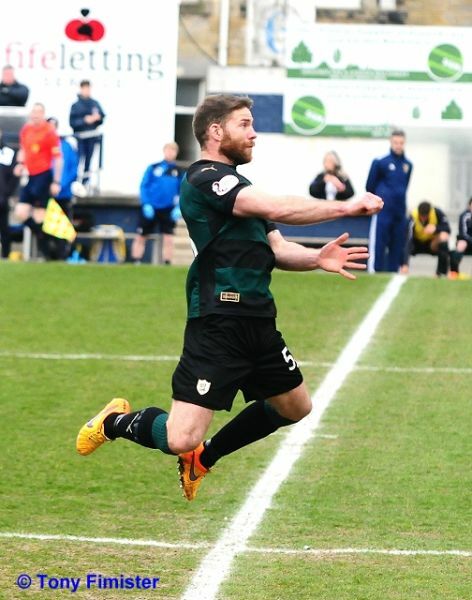 Hardie rolls the ball into the net after being put through! Yellow card for Miller after a late challenge on Barr. 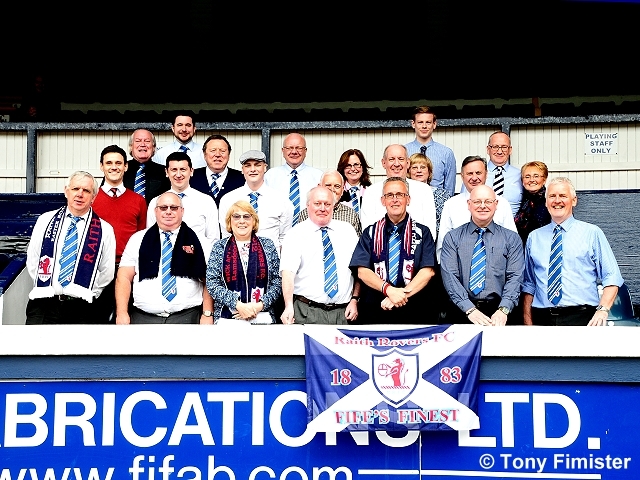 Corner to Falkirk. 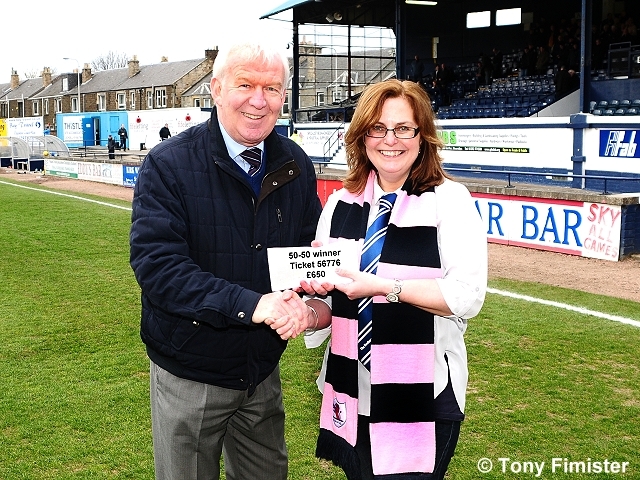 Cleared by Hardie. 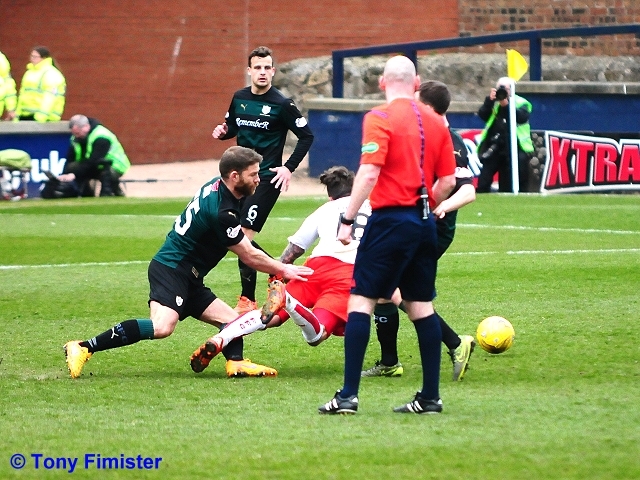 Longridge on the break, shoots into the side netting with 3 raith players free in the box. It's still a frantic pace here! 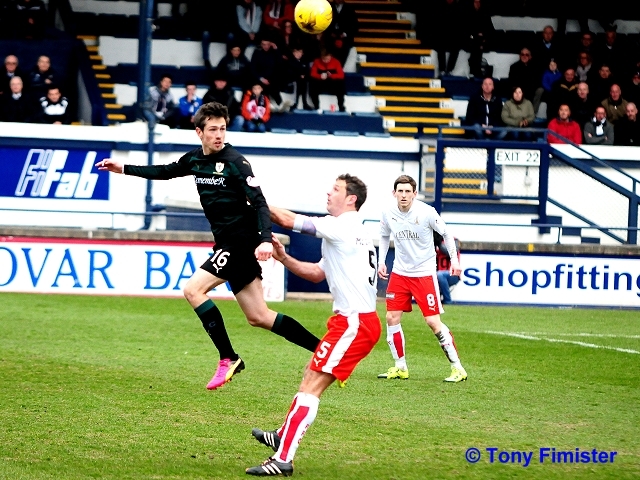 Mchugh with an effort that goes well over. 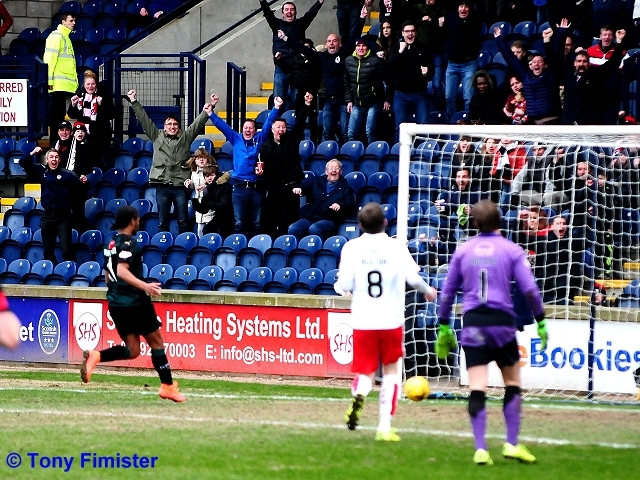 A bit of a stramash in the raith box there eventually results in a free kick to the rovers. 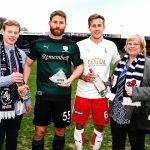 Falkirk are the visitors to Stark’s Park this Saturday evening, for Raith’s last home league match before the play-offs begin next month. 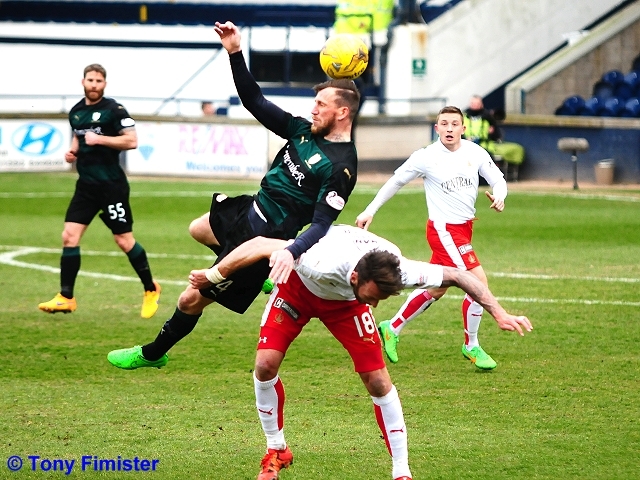 Both teams head in to the fixture in fantastic form, with Raith now unbeaten in nine league games, while Falkirk have lost just once in their last 11 Championship fixtures, a 2-0 defeat to Livingston at the end of March. 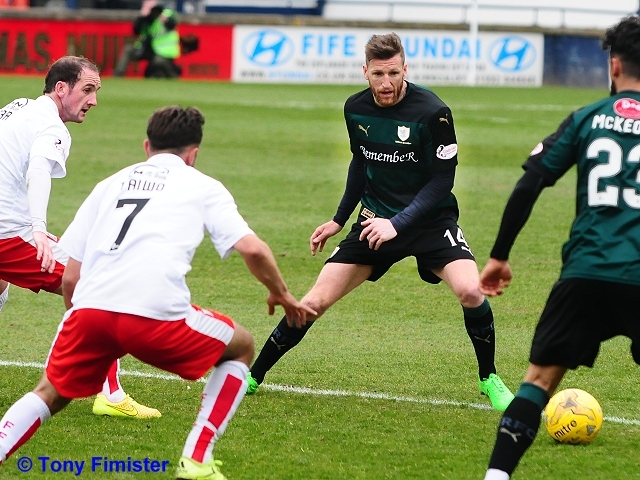 It’s a run which sees Peter Houston’s men sitting three points clear of Hibernian with two fixtures left to play, although Hibs do still have one game in hand. 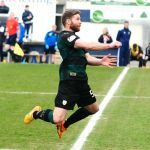 While Falkirk’s recent comeback draw against Hibernian appeared to put them firmly in the box-seat for a second place finish, the Leith side’s midweek win over Rangers, means that Saturday’s match now assumes even greater importance for the Bairns. 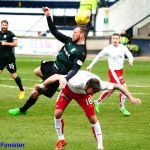 If the current trend of this fixture continues then they’ll certainly take something from the game, as although the previous three meetings this season have been close, Falkirk claimed seven of the nine available points from them. 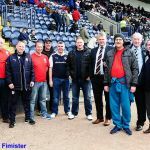 A late Mark Kerr goal from distance was the difference at The Falkirk Stadium in August, and although Mark Stewart gave Rovers the lead at Stark’s Park in November,goals from Blair Alston and John Baird handed Falkirk the win. 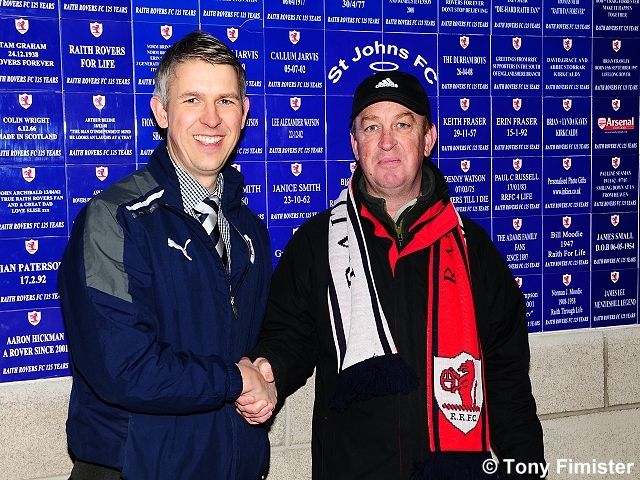 However, the points were evenly distributed in the last meeting in February. 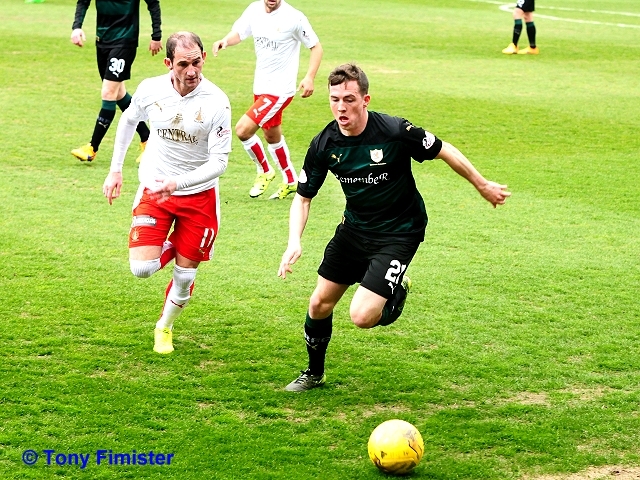 Blair Alston put Falkirk in-front, although James Craigen quickly equalised. 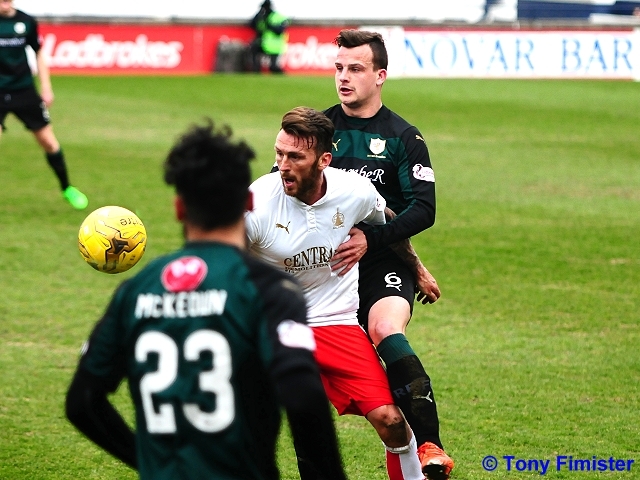 David McCracken gave Falkirk the initiative again within minutes, but a fine second-half performance from Rovers saw them level with twenty minutes remaining after a goal from Mark Stewart, and although Kyle Benedictus saw a late red card, Rovers held on for the draw. 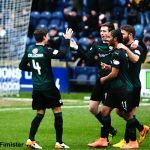 This season has seen the trend continuing of Rovers struggling to eke out a win against Falkirk, and the Kirkcaldy side now have just one win in 13 league matches against Houston’s team, a 1-0 win back in December 2014, thanks to a late close-range finish from Ryan Conroy. 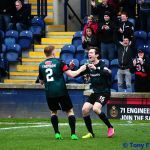 You have to go even further back for Rovers last league win over Saturday’s opponents at Stark’s Park, November 2012 to be exact, when goals from David Smith and Grant Anderson saw the home team seal a comeback victory, after Luke Leahy had fired Falkirk in-front. 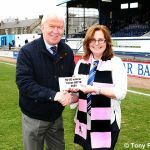 A win or a draw on Saturday would make it ten games unbeaten for Raith, a sequence which would match the run which the team embarked on at the beginning of the 2013-14 season. 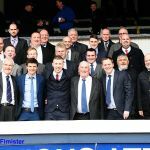 The longest unblemished run the club has put together in recent seasons was 15 league matches without loss, which was strung together between the end of the Second Division title-winning season of 2007-2008, and the beginning of the next campaign in the league above. 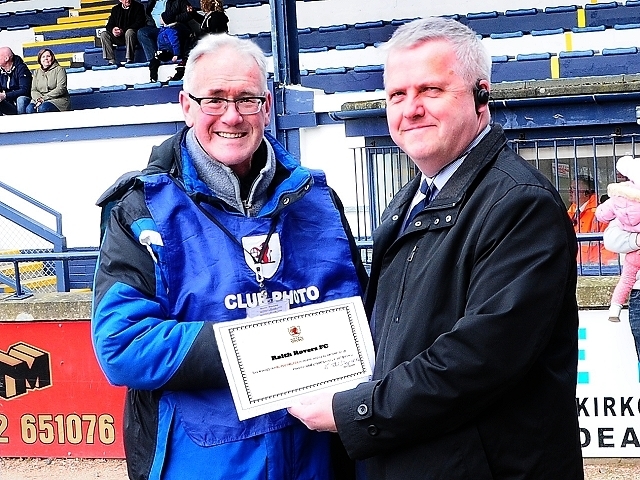 Saturday’s match referee will be Bobby Madden.